OMG how did I miss this post. That is frigging hilarious! My homeboy Rick just run a 12.8@108.12 and his mods is just JDM pro kit tune, micky thompson racing slick,hello kitty extreme cat back, nismo intakes and DPs. Fu&k y'all haterz! My homeboy Rick just run a 12.8@108.12 and his mods is just JDM pro kit tune, micky thompson racing slick, hello kitty extreme cat back, nismo intakes and DPs. Yeah Nissan tried too hard on the looks and not enough on function with the Z.
engine which sounds like a box of rocks in upper rpms. steering is pretty numb / lacks feedback. seats could use more lat support. Other than that there's not much to complain about considering the price but the Z is certainly no Porsche. It may be a somewhat close race around some tracks vs. the "old" 295hp Cayman S which was neutered without a LSD but even still the Caymen is a vastly superior overall car. There are really good reasons for why one is about 1/2 the price. And these "reasons" aren't the "Porsche" badge. 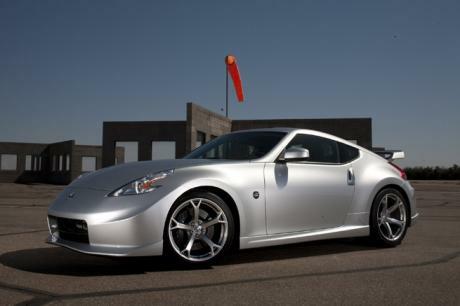 I've driven the 370z and it's not even in the same ball park. I'd rather own and drive a much slower but much more fun to drive MX-5 any day. The one in the pic looks ugly, but in person they are pretty impressive. Saw a red one at the dealer and it was stunning. 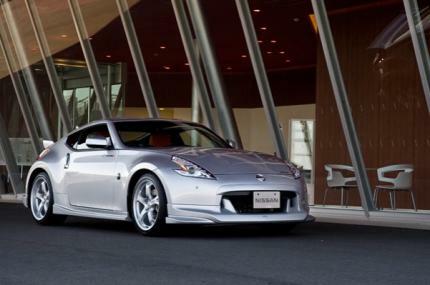 I prefer the look of the base 370z. That time is slower than the base 370z's time! LOL. Something went wrong there. Which of the Best Motoring drivers got that time??? Most canadians cannot spell, or speak english. wow.. doesnt get much uglier than that!! I think he's just fooling around. Like Adam. crni09 what is your main language?